Davies & Associates, LLC ("D&A") has a decade long history of guiding Indian EB5 clients to success. 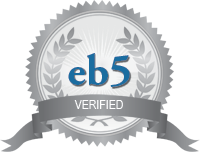 D&A is proud to have clients with multiple approved EB5 cases in every major metro market in India. In 2017 in an industry-wide poll conducted by EB5 Magazine Mark Davies, who is our firm's Chairman and Founder was voted one of the top 25 EB5 lawyers in the world. Known to provide a wide range of dynamic solutions, we aim to tackle some of the most complex immigration issues so that you do not face any setbacks while obtaining visas. Not only taking care of your personal and professional interests, we are also committed to bringing families together irrespective of how complex the application process might seem. We understand the importance of hard earned money. Our primary goal is to help our clients achieve their personal and professional objectives without having to worry about how much they are spending thanks to our comprehensive solutions which are cost effective in nature. We have a team of technically astute and professionally sound ivy-league lawyers boasting over fifteen years of experience at the top level. Their specialty lies in immigration law which enables them to face challenges head on for the sake of our clients, leaving no stone unturned when it comes to preparing well documented visa applications. While dealing with immigration on a global scale, in-depth knowledge of local customs and in-country consular practices is a foregone conclusion. This is where having a well-balanced team of professional lawyers helps as these lawyers are not only experienced, but even hold licenses to practice law across various international jurisdictions. We take pride in the fact that we have achieved a 100% success rate for Regional Center EB5 work, which is unparalleled in the immigration world. We have never had a green card immigrant visa application our firm has filed denied. We have a flawless track record. We understand that our clients need assistance outside office hours as well because issues may present themselves unannounced. This is why our team prioritizes the aspect of customer service making sure that they are available at your disposal seven days a week.